If you’re hosting a contest or giveaway, you’re probably using hashtags as one way to organize entries and to make it easy for people to share your contest. Hashtags are also a way to connect your contest and your brand to trending topics. Creating a unique hashtag is as simple as putting a # in front of a word to create a hyperlink, but creating a hashtag that will gain some traction and bring attention to your contest is a little more complicated. Here are some of the best hashtags to use for contests, sweepstakes and giveaways. And if you want to see examples of effective hashtags, and learn about contest-hashtags do’s and don’ts, scroll past the list. 1. 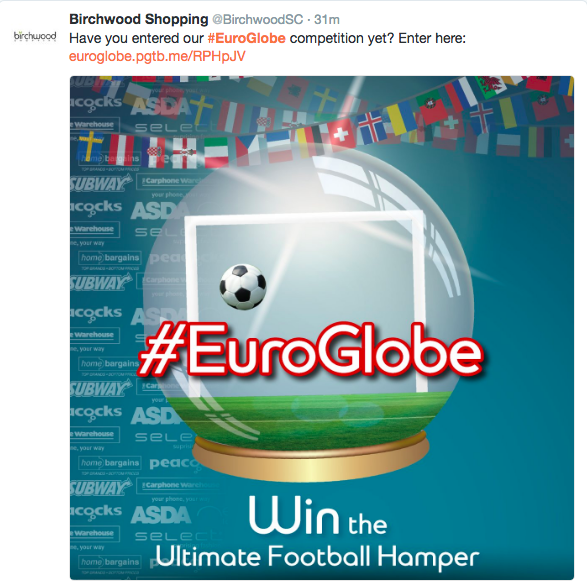 Make them unique: Birchwood Shopping, a shopping center in the U.K., used the hashtag #EuroGlobe for their giveaway. 2. 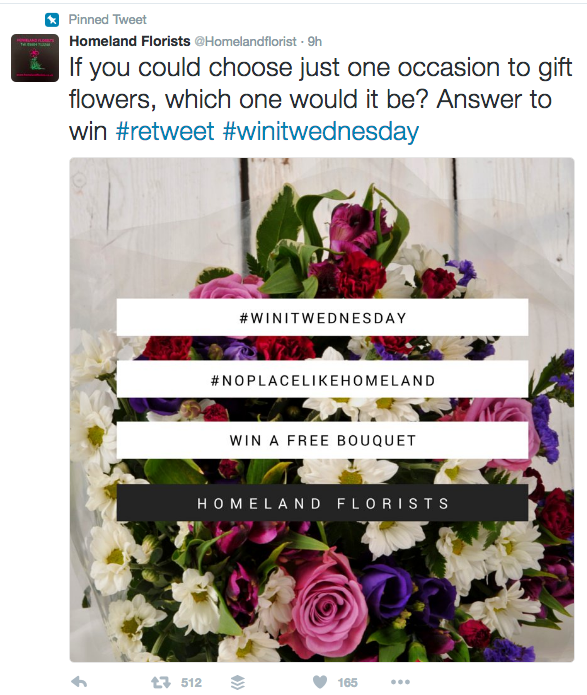 Keep them brief: HomelandFlorist used a popular and simple hashtag for their giveaway: #winitwednesday. 3. Use humor, when appropriate: In 2013, Charmin, the toilet paper company, created #tweetfromtheseat, which they tied in with a contest. It was cheeky and got a lot of attention. 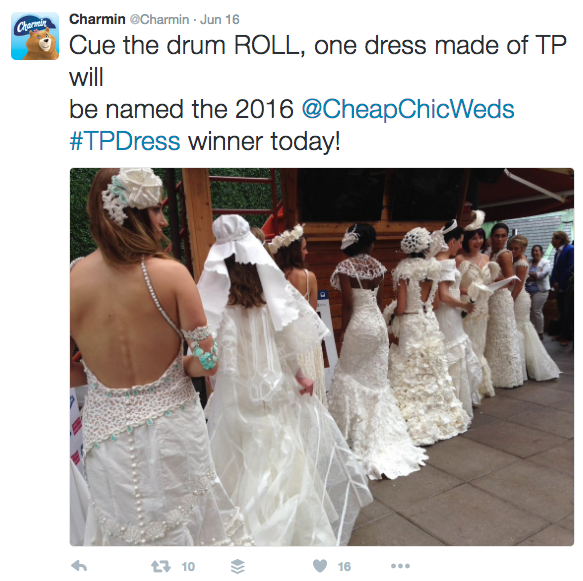 More recently, Charmin used #tpdress (as in, toilet paper dress) as another contest tie-in. • Tweets that use more than two hashtags have a 17% drop in engagement. Tag your post with a hashtag and you’ll be able to tap the hashtag to see a page that shows all photos and videos people have uploaded using the same hashtag. • When people with private profiles tag posts, they won’t appear publicly on hashtag pages. • Numbers are allowed in hashtags. However, spaces and special characters, like $ or %, won’t work. • You can only tag your own posts. You can’t tag other people’s photos/videos. • You can use up to 30 tags on a post. If you include more than 30 tags on a single photo/video, your comment won’t post. Any contest hashtag successes you’d like to share with us? Let us know @shortstacklab.